Jazz Maestro David Nathaniel Baker Jr., the Smithsonian Jazz Masterworks Orchestra’s artistic and musical director, will be honored during a Saturday, Dec. 1, holiday concert celebrating his more than 20-year contribution to Smithsonian jazz. The “Swingin’ in the Holidays” program will feature the music of Duke Ellington, Shorty Rogers and others. To mark the last official concert for Baker, the Distinguished Professor and Chair of the Jazz Studies Department at Indiana University’s Jacobs School of Music, the SJMO orchestra will also perform selections from his jazz cannon. 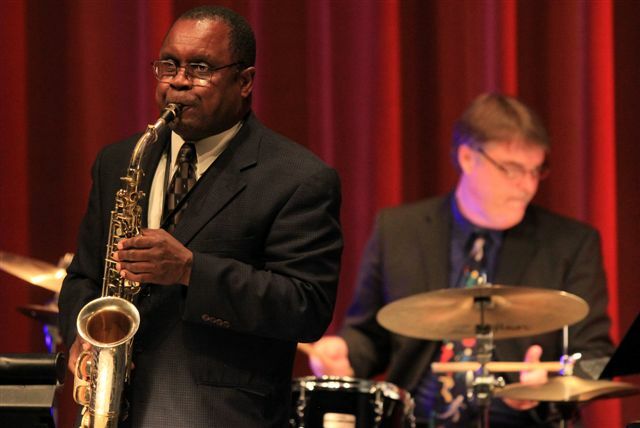 Charlie Young, coordinator of jazz studies at Howard University and a professor of saxophone, will conduct the holiday program and will officially assume the role of SJMO artistic director and conductor for the orchestra’s 2013 performance schedule. Young has been a member of the SJMO since 1995 and has served as the ensemble’s principal saxophonist for more than 15 years. He has been a member of the Duke Ellington Orchestra since 1988, serving as its conductor and is currently the lead saxophonist. Young and his jazz quintet presented the inaugural concert and lecture at the opening of the New American University in Cairo in 2008. His performing and recording career includes working with the National Symphony Orchestra, the U.S. Navy Band, the Count Basie Orchestra and the Seattle Symphony Orchestra. He has shared the concert stage with many of the music industry’s leading icons ranging from Clark Terry and Ella Fitzgerald to Stevie Wonder and Quincy Jones in venues ranging from London’s Royal Albert Hall to New York’s Carnegie Hall. He is also published on more than 30 recordings, including his latest release “So Long Ago.” Young, a native of Norfolk, Va., studied at North Texas State University and earned his master’s degree from Howard University. He is a recognized clinician in the field of jazz education as well as classical and jazz saxophone performance. Baker, a veteran of the bands of George Russell, Quincy Jones, Stan Kenton, Maynard Ferguson and Lionel Hampton, will continue to advance the Smithsonian’s jazz education efforts in his role as maestro emeritus. Named a “Living Jazz Legend” by the Kennedy Center in 2007 for lifetime achievement, Baker’s extensive awards also include the National Association of Jazz Educators Hall of Fame Award (1981), the American Jazz Masters Award from the National Endowment for the Arts (2000), the Indiana Historical Society’s Living Legend Award (2001), the James Smithson Medal from the Smithsonian Institution (2002), an Emmy Award (2003) for his musical score for the PBS documentary For Gold and Glory, the Sonneborn Award (2006) and the Lawrence Berk Award (2007). He has received honorary doctorates from Wabash College, Oberlin College and the New England Conservatory of Music. Baker is a virtuoso performer on multiple instruments and first performed at the Smithsonian in 1990 with the Indiana University Jazz Orchestra in an Ellington concert. He served as co-conductor of the newly founded SJMO in 1991 with Gunther Schuller and took on the sole role as musical and artistic director in 1996. Tickets for the SJMO Dec. 1 holiday concert at the church of the Epiphany in Washington, D.C., are available through The Smithsonian Associates at http://smithsonianassociates.org.Young will lead the orchestra in a Feb. 23 concert at the National Museum of Natural History focused on the legacy of soprano saxophonist Sidney Bechet. The National Museum of American History collects, preserves and displays American heritage in the areas of social, political, cultural, scientific and military history. To learn more about the museum, visit https://americanhistory.si.edu. For Smithsonian information, the public may call (202) 633-1000.